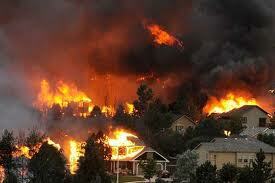 Wildfire is a hazard wherever people and residential developments intermix with the wildlands. However The degree of hazard and the required amount of fire safety measures vary from area to area. Identifying Areas of differing severity provides for the application of reasonable fire-safe standards based on the actual threat present. However, remember that there is a baseline of fire prevention or fire-safe activities that must be applied to obtain a basic level of protection. 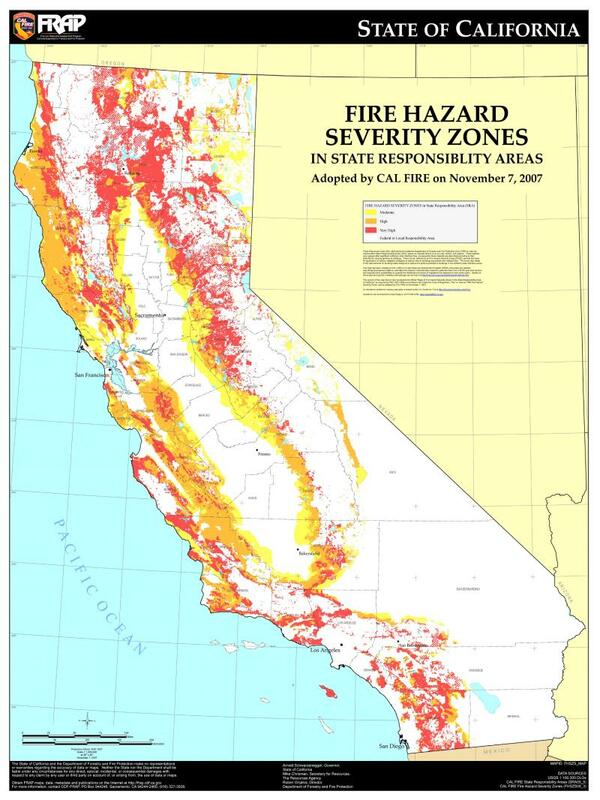 Local government land use planning agencies have identified and classified areas of varying fire hazard Severity and specified the conditions under which development and use of these areas could/may occur. 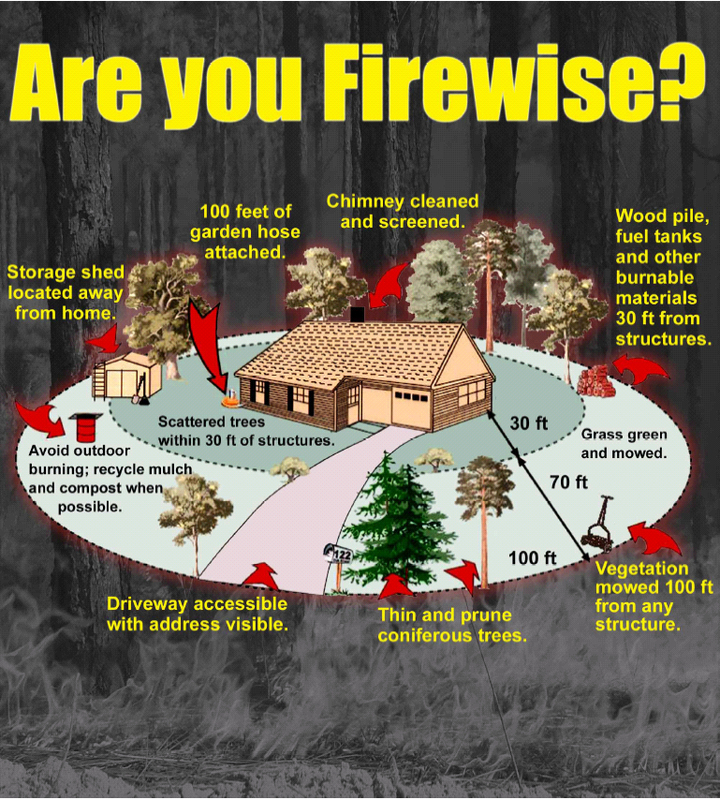 Private land owners can take advantage of the information and knowledge gained from the fire hazard severity project. What hazard zone is your home in? If you know what you have, what’s around you and what to expect… Then and only then can you develop a plan to fully survive a wildfire! Insurance companies have shown a significant interest in WildLand fire hazard assessment following the Painted Cave (1990) and Tunnel (1991) fires. To take effective action, Home owners must understand the elements, components and factors that Contribute to the problem. The expertise of the assessor and the complexity of the problem need to be Considered when selecting an assessment process. American Eagle Fire Protection Services can assist local agencies, Home owners/Land Owners in developing their fire hazard assessment analysis. So the first thing you can do is get a WildFire Hazard Assessment Analysis of your property… Based on that assessment you then develop a Specific Fire Protection Plan to protect your home and property from wildfire. 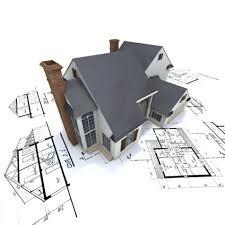 This is a site specific plan in that it is unique to your home and property. Though having similar environmental factors that will affect your neighbors that we can’t influence… we can influence the micro-climate around your home and property. More and more people are making their homes in woodland settings, rural areas or remote Mountain sites. There, residents enjoy the beauty of the environment but face the very real danger of wild fires. Wildfires often begin unnoticed. They spread quickly, igniting brush, trees and homes. In a wild fire, every second counts! Clean and Green Zone. An area of 30 feet immediately surrounding your home. Reduced Fuel Zone: The fuel reduction zone in the remaining 70 feet (or to the property line). *Compliance to PRC 4291 is required by any person who owns, leases, controls, operates or maintains A building or structure in or adjoining any mountainous area, forest-covered lands, brush-covered Lands, grass-covered lands or any land that is covered with flammable material and is within the State Responsibility Area. 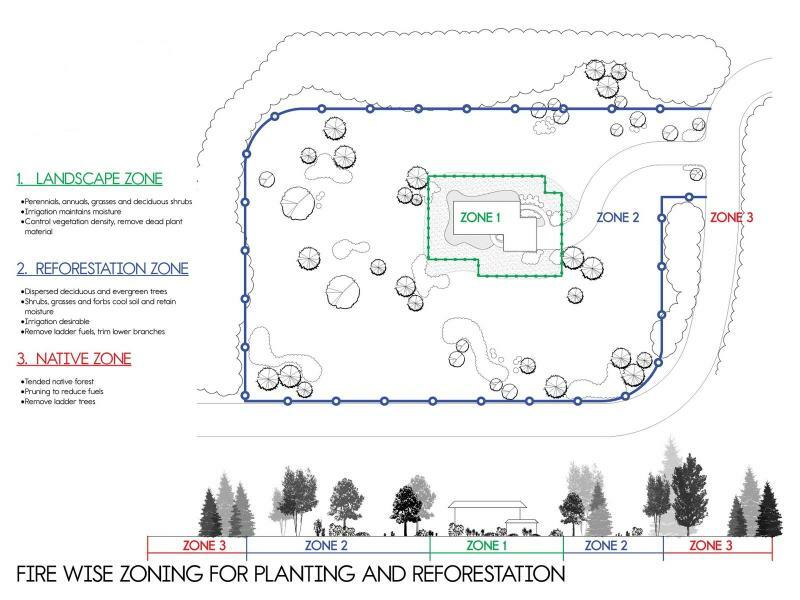 PRC 4291 requires 100 feet of Defensible Space (or to the property line if less than 100feet) from every building or structure that is used for support or shelter of any use or occupancy . Must obtain all necessary permits. Contact your local resource or planning agency officials to Ensure compliance with federal, state and local requirements. If your home or property has comliance issues please contact us as soon as you can, we can help. 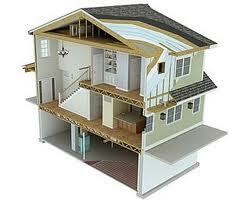 1) Get Your Home and Property Evaluated. 2) Develope a Fire Protection Plan for your Home and Property. 3) Implement Your Fire Protection Plan. Every year across our Nation, some homes survive - while many others do not - after a major wildfire. Those that survive almost always do so because their owners had prepared for the eventuality of fire, which is an inescapable force of nature in fire-prone wildland areas. Said in another way - if it's predictable, it's preventable! No Home has to burn ever! In a speach made by Fire Ecologist Dr. Harold Biswell at the University of Califirnia School of Forestry in 1980... Dr. Biswell made suggestions that may help us appreciate our place on a long list of fire-adapted species in California: " Keep in mind that fire is a natural part of the environment, about as important as rain and sunshine. Fire has always been here and everthing good evolved with it...[so] we must work more in harmany with nature, not so much against it"
Once we address the Wildfire issues associated with our place in this fire-adapted environment we can then develope a fire protection strategy that is simple and makes since. 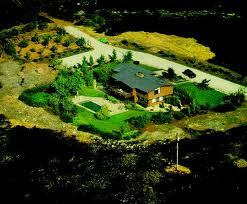 Call us for a Wildfire Assesment at any time... We will be Glad to help. What does a Wildfire Assesment consist of? This is a site specific assesment in that it is unique to your home and property even though having similar environmental factors affecting or influenced by adjoining properties. The assessment will cover up 100 elements of your home, property and community based on NFPA 1144, Ca PRC 4291 – 4299 and will conform toYour local authority having jusisdictions Fire Codes, Ordinances and Standards. Based on that assessment we can then develop a specific fire protection plan to protect your home and property from wildfire. 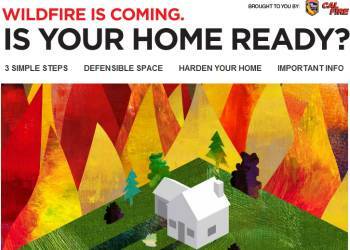 This is the first step in protecting your home from wildfire. This assessment will require a couple hour site survey. It will then take several days to compile a summary of the findings. These findings will suggest how to make your home fire safe and/or comply with local fire codes, ordinances and standards. Call us to get your Wildfire Assesment started as soon as you can. Educate, Assess and Plan are your first steps in Wildfire Protection. Lets get started.